For the first time in 100 years and since the reign of Queen Victoria, four generations of the Royal Family came together for the christening of His Royal Highness Prince George of Cambridge. 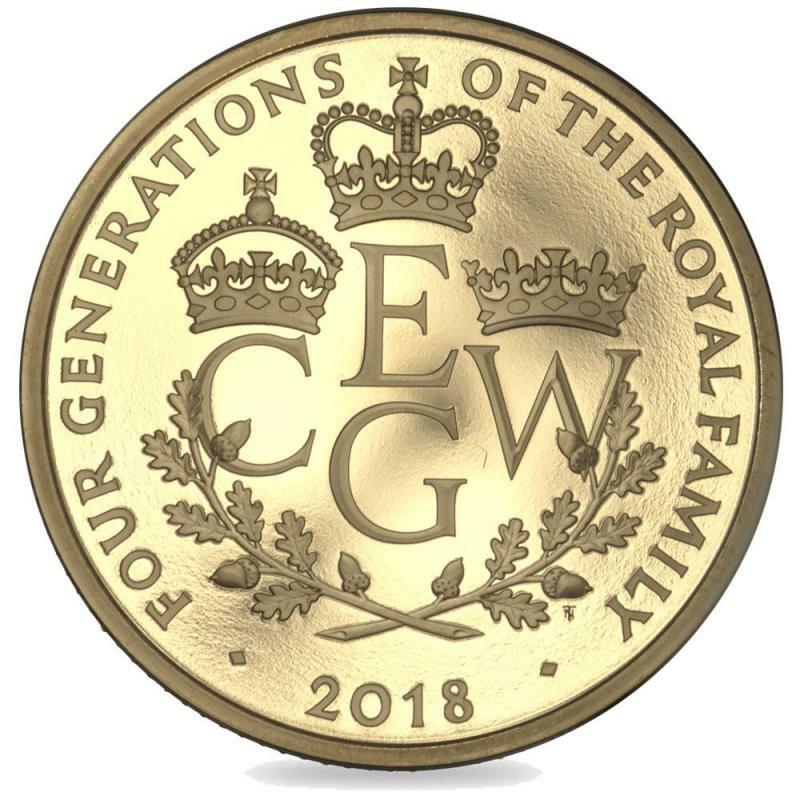 To mark the occasion of the coming together of The Queen, His Royal Highness The Prince of Wales, His Royal Highness The Duke of Cambridge and Prince George of Cambridge, The Royal Mint issued this commemorative Four Generations of Royalty Coin. 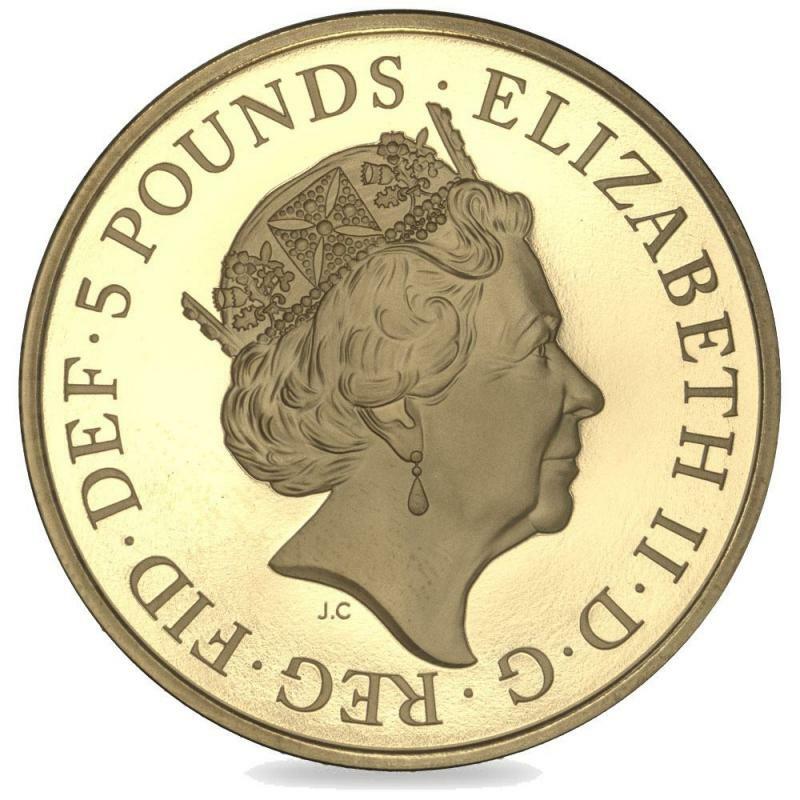 The Royal Mint produced just 500 of these Gold Proof coins making them a highly collectable and rare edition. Each coin is supplied in a presentation box with a booklet from The Royal Mint detailing the important family moments and exploring the inspiration behind the coin's design. The reverse design by Timothy Noad combined the initials of the four royals Elizabeth, Charles, William and George. The heraldic design incorporates the oak branches and coronet from the House of Windsor Badge. George Alexander Louis was born on 22nd July 2013. The eldest child of Prince William, Duke of Cambridge, Prince George is third in line to the throne behind his father and grandfather Prince Charles and so his birth was widely celebrated throughout the Commonwealth. As well as the significance of having four generations of Royals come together for the christening, the birth of Prince George also marked the second time in history that three generations of direct heirs to the throne have been alive at the same time. The first time this occurred was for the last seven years of the reign of Queen Victoria from 1984 and 1901. His birth was marked with commemorative coins issued by The Royal Mint, The Royal Canadian Mint and The Australian Mint – it was the first time a birth was commemorated in this way. Prince George was christened by the Archbishop of Canterbury in the Chapel Royal at St James Palace in October 2013. The font used in the ceremony was originally made for the christening of Queen Victoria’s first child and the water taken from the River Jordan. The Royal Mint issued a commemorative coin set to celebrate the christening. These were the first British coins ever produced to mark a Christening. 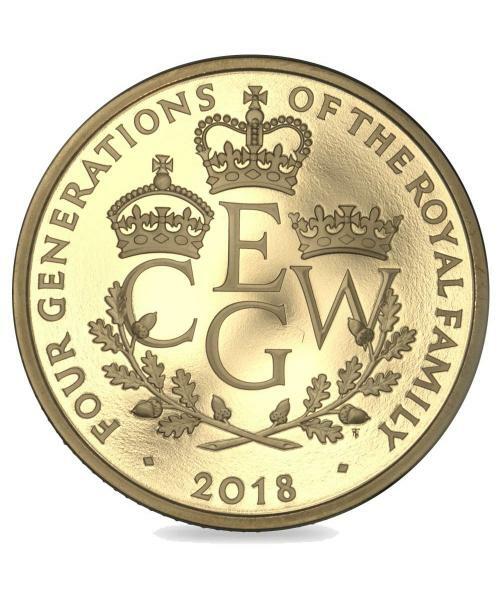 This £5 commemorative Proof coin is a must-have for all collectors of Royal Coins as, aside from its limited-edition mintage, it marks a moment in history that will be of notable significance for generations to come. We are constantly updating our range at Exclusive Coins. Sign up for our newsletter to keep up to date with the latest releases and announcements for forthcoming coins from The Royal Mint. If you are looking for some in particular and cannot find it on our website, please contact us and we'll be happy to help.